Grease an 8″ baking dish. Mix together melted margarine and lightly packed brown sugar. Add flour, rolled oats, and cinnamon. 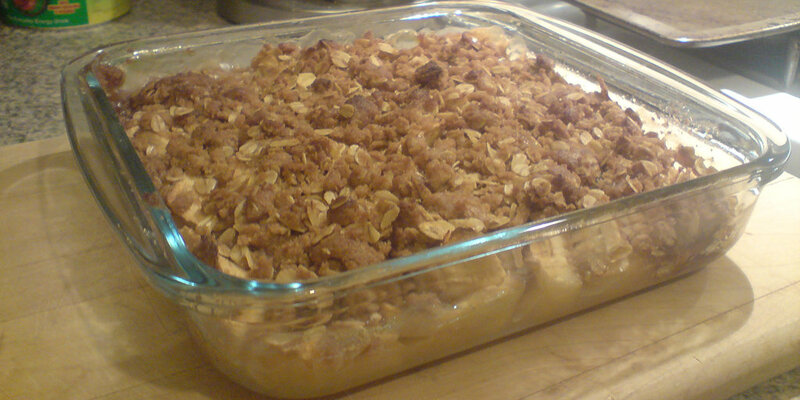 Bake in 375°F oven for 40 minutes or until apples are tender and topping is golden brown. Serves six.